The Earthing Phenomenon deserves a really good alternative to barefoot when barefoot is not practical or permitted; such as at work, shopping, church, etc. Our handcrafted all leather moccasins are the perfect solution to your barefoot and Earthing footwear needs. 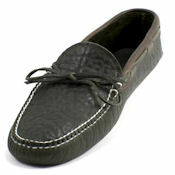 Wassookeag Moccasins are made from genuine full grain buffalo hide, bullhide or cowhide with or without deerskin lining. We do not use rubber, plastic or other synthetic materials, padding or other inserts that would disconnect you from the earth. Standard plastic/rubber or composite soles do not conduct the Earth’s electric energy. Most shoes today are made from those materials. 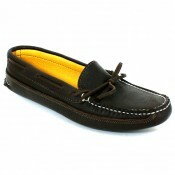 You need leather or hide soles, which used to be the primary footwear materials in the past. 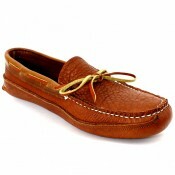 Moccasins are the best type of naturally conductive footwear. Leather isn’t quite as good as bare feet on the ground but certainly much, much better than standard soles that are insulating. Earthing is by far one of the simplest and most fascinating health and wellness breakthroughs of the twenty-first century. Simply put, Earthing is a way to restore the body’s healthy electrical charge, which is lost unless we ground ourselves to the earth. Shoes, carpets, and asphalt are all a part of our disconnect from the planet. It is said that ..... Earthing helps balance the nervous system, lower stress, reduce inflammation and inflammation-related pain, and improve sleep and energy. The research also suggests that the electrodynamics of blood, a subject not very familiar to doctors, is also improved, and this effect may lead to a more desirable blood viscosity (thickness), reduced aggregation of red blood cells, and better overall circulation. To learn more about the developing science of Earthing go to: www.earthinginstitute.net. When you need a rubust all leather sole loafter for every day wear both inside and out, consider choosing our Triple Sole Canoe Mocs. Constructed from 3 layers of thick natural full grain leather that will endure years of use, naturally wick away moisture and naturally conform to the shape of your feet for the most comfortable footwear you will find anywhere. Our Soft Sole Moccasins feature a single piece vamp and sole in classic moccasin construction, available in Tobacco or Chocolate Buffalo Hide and Bull Hide with or without deerskin lining. When you intend to wear your moccasin mostly indoors and occasionally outdoors on softer surfaces, our soft sole moccasins are the perfect choice.